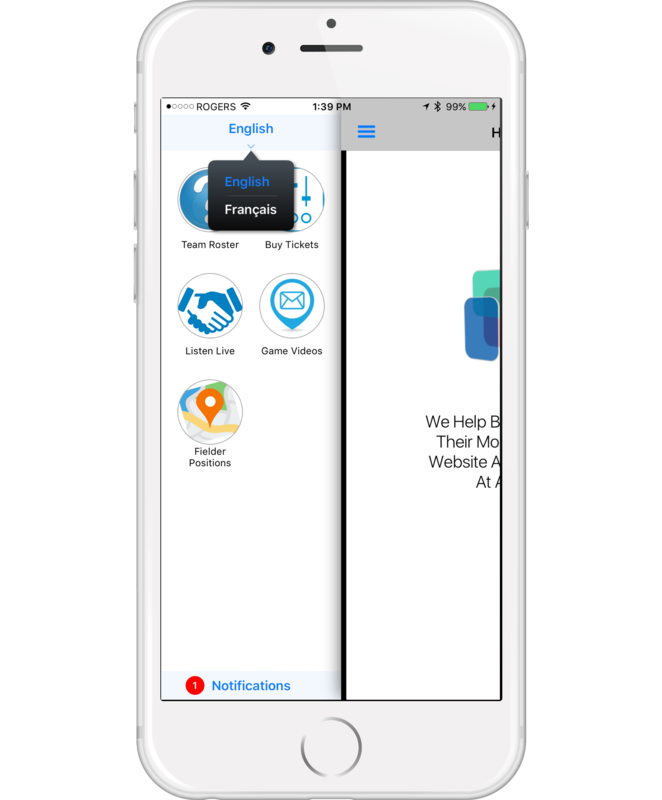 With AppYourWay, if you service customers in more than one language or have a website that contains various languages, you can add multilingual menus to your app. Customers enjoy reading and performing transactions in their own language so with our app, you simply create each language you want to support and these appear in a menu as illustrated. Ideally your content would then support each language you've entered by providing links to the appropriate HTML pages in that language. This feature is very rare in apps but we're proud to say that AppYourWay apps makes it possible.